– Quests – a kind of entertainment, gaining great popularity recently. That’s why in Kyiv there are numerous quest projects. Let’s note the popular locations. 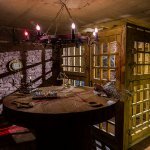 “KADROOM” is a quest-ground and a workshop, it is located in the centre of the capital, the mechanisms for quests are developed from scratch by its own workshop, according to reviews, the best and most realistic movie quests are created here. Quest Factory is a horror show with quest elements, in particular, a mystical performance on a moored 400-m2 game location. 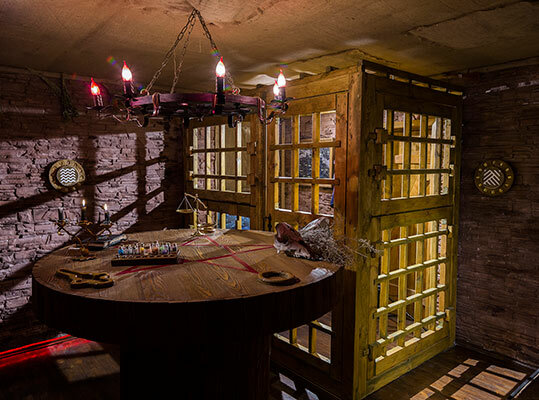 Questium is one of the popular quest projects, quest rooms with interesting scenarios, various riddles and a steep entourage. – Carting – entertainment for fans of speed and for those who want to feel the dose of adrenaline. Nowadays in Kyiv there are many carting-centres, where you can relieve your heart, accelerating to the limit. Let’s name the most popular centres among the people of Kyiv. Carting club in the “Blockbuster” mall – located at Petrivka, has two cart-droms, because here you can ride both in winter and summer. The area of the summer playground is 5,500 sq. km, the length of the race track is 650 meters. CartMania in the “Ocean Plaza” is equipped with modern machines with powerful engines, the check-in time reaches up to 10 minutes. Forza karting is a carting centre with a track of several levels, an area of 3000 m2 and a length of up to 500 m. At the centre there is a school where they conduct training for beginners. 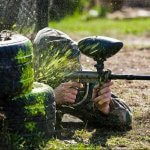 – Paintball – extreme sport entertainments in Kiev for the company. 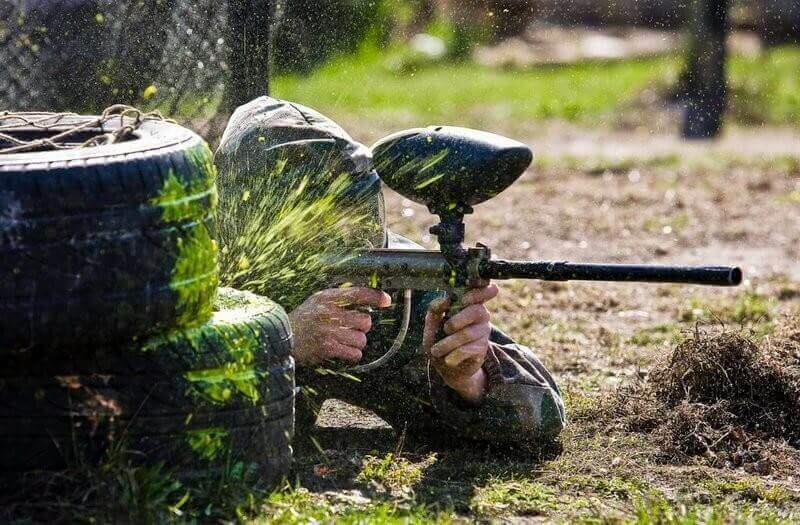 Since 1994, paintball in Ukraine has been recognized as a sport. In Kyiv, you can find enough locations for paintball. Residents of the capital choose the following clubs. “Cheetah” – the largest paintball club in Ukraine and one of the largest in Europe, developed infrastructure, 9 playgrounds in the open territory and a covered room for extreme games. “Ganz” – is located on the territory of the National Complex “Expocenter of Ukraine”, 3 playgrounds and 6 game scenarios, there is a laser tag. “Bears” – offers 4 own game zones and interesting game scenarios, there is a laser tag and a quest room “Atomic Bunker”. 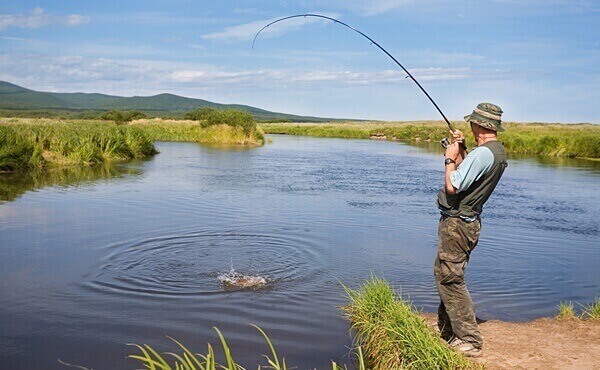 – Fishing – one of the entertainment for men. The advantage of the fact that Kyiv is located on the river, gives fishermen a wide choice of places for fishing – Trukhanov Island, Rusanivka, Obolon, numerous bays of the Dnipro. There are stocked places in Kyiv and its environs. So, in the Holosiivskyi district in the centre “White stones” they catch silver carp, carp, perch and pike. The area of the reservoir is about 2 hectares. Depth is from 1.5 m to 3 m.
The base “Cherry” – located in 14 km from Kyiv downstream of the Dnipro. Here are found crucian, carp and silver carp. They offer a rent of boats and motor boas, there is a cafe, a sauna and cabins with comfortable rooms. 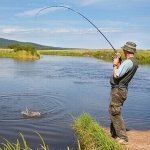 Ponds «Sturgeon» fishing»- here you can fish all year round, even during spawning. In these places is caught bester, sterlet, Lensky and Russian sturgeon, oarlocks and rainbow trout. 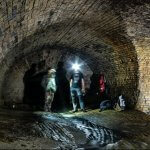 – Diggery – an extreme hobby, especially popular with young people. It is a study of underground structures – cellars, mines, tunnels, metro stations, communications, etc. Diggery as a trend appeared in Kyiv back in Soviet times. Today in Ukraine diggery is not prohibited by law. So, in Kyiv there are societies of diggers and interdigger formations. Top diggers’ routes – it is an underground river Klov, water station Stolnya-1 and drainage-gallery system Nikolska. The Klov River flows under Khreshchatyk, Maidan and the European Square, is considered the most spectacular of underground rivers. The main line with arched hand-laid (height – 5 m, width – 10 m) has sections of red brick with the age of more than 200 years, on which the prints with the royal arms and years of construction were preserved. Shtolnya-1 – experimental communication, built in the 1970s as a reserve water supply, lies 90 m below the ground. There are no deeper places in Kyiv (the whole water pipe runs at a depth of 3-4 m). Now the gallery is conserved, there is no water in it.